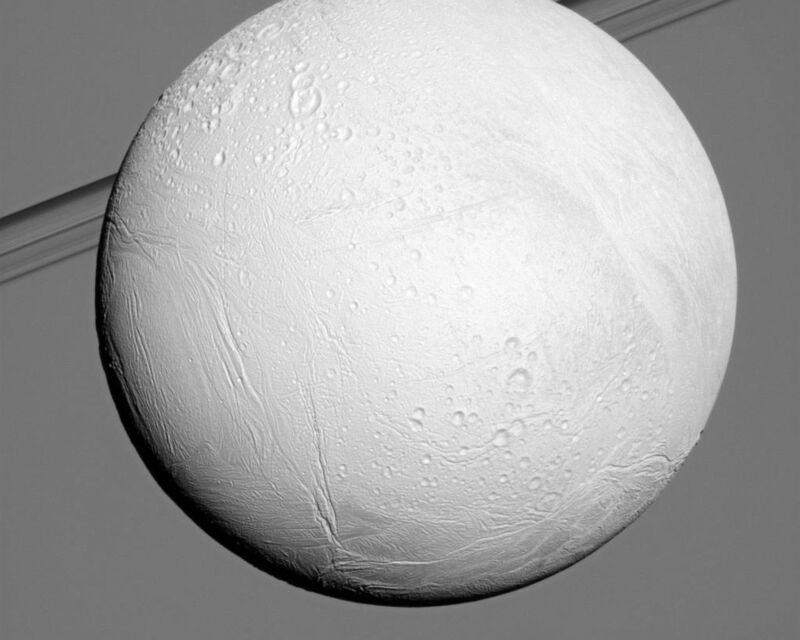 Saturn's moon Enceladus reflects sunlight brightly while the planet and its rings fill the background of this Cassini view. 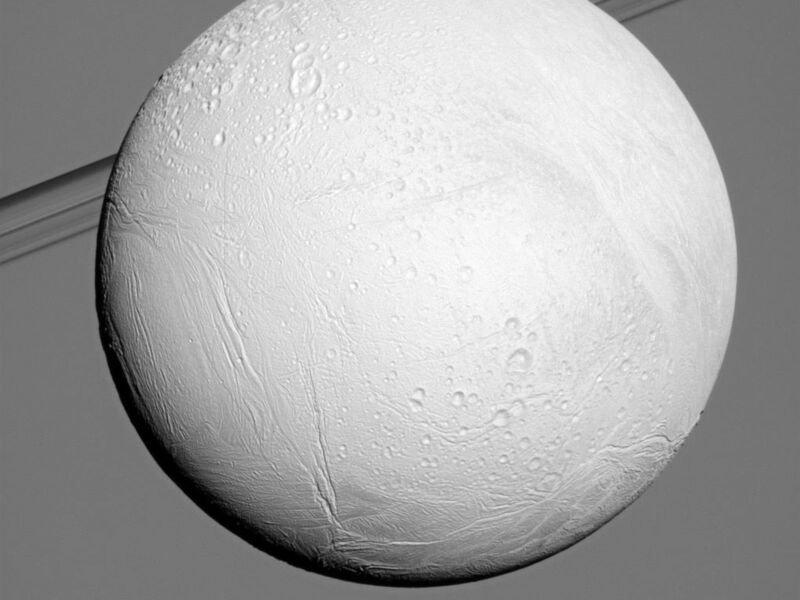 Enceladus is one of the most reflective bodies in the solar system because it is constantly coated by fresh, white ice particles. See PIA10500 and PIA05422 to learn more. 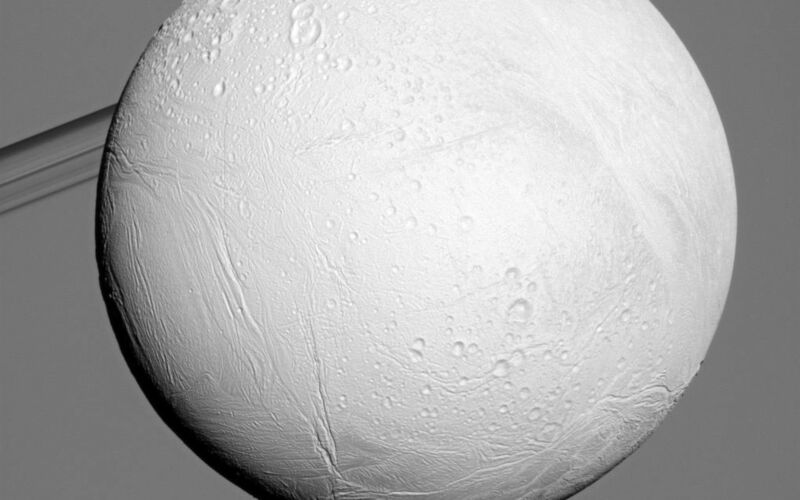 This view looks toward the anti-Saturn side of Enceladus (504 kilometers, or 313 miles across). North on Enceladus is up and rotated 21 degrees to the left. The image was taken in visible light with the Cassini spacecraft narrow-angle camera on Dec. 21, 2010. 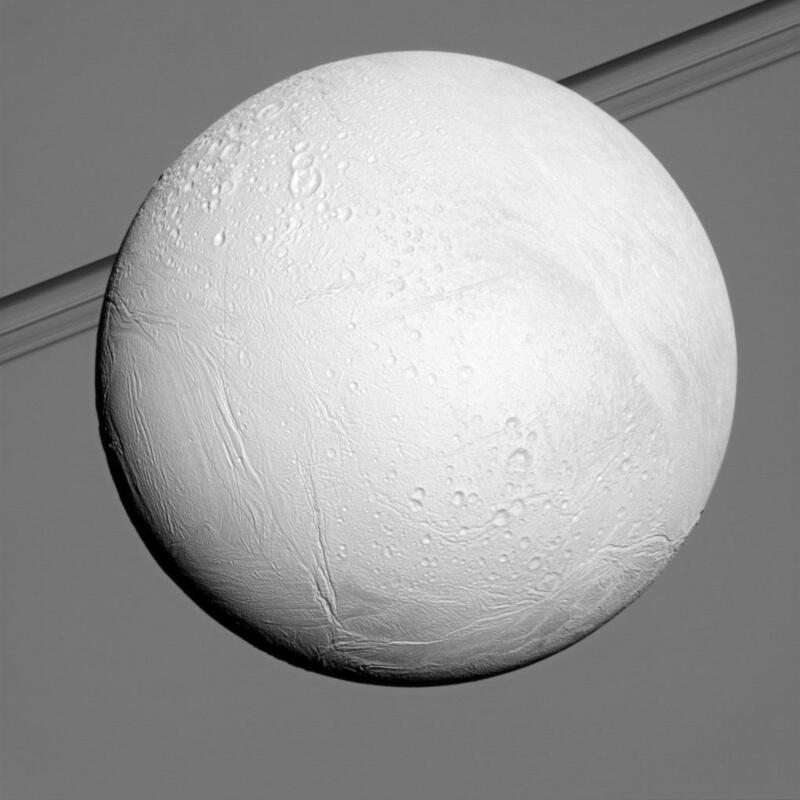 The view was obtained at a distance of approximately 102,000 kilometers (63,000 miles) from Enceladus and at a Sun-Enceladus-spacecraft, or phase, angle of 16 degrees. Image scale is 612 meters (2,008 feet) per pixel.